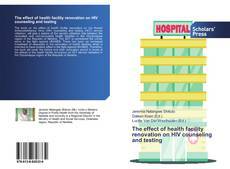 The book on the effect of health facility renovation on the Human Immunodeficiency Virus (HIV) counseling and testing (HCT) service utilization, will give a picture of the service utilization rate between the renovated and non-renovated health facilities in the Otjozondjupa region of the Republic of Namibia. The HCT is considered the corner stone in the fight against HIV/AIDS. There has been an increased investment of resources in the renovation of health facilities which is intended to have positive effect in the fight against HIV/AIDS. 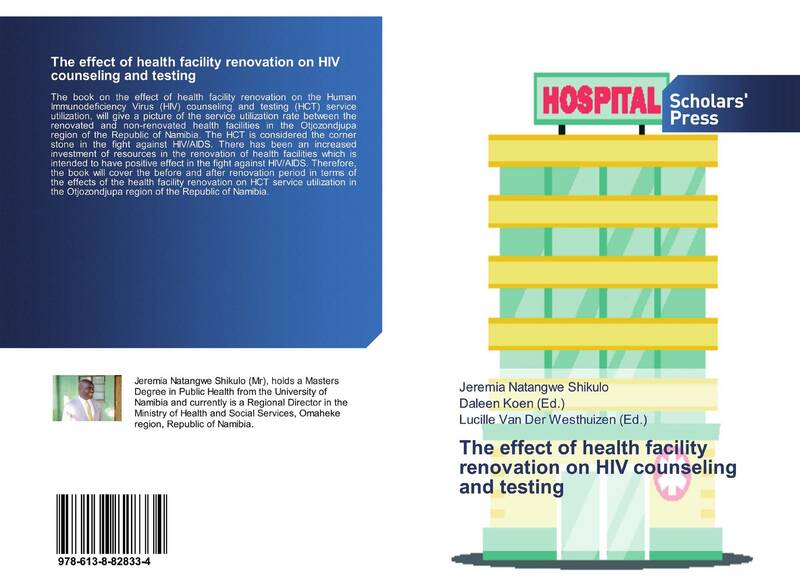 Therefore, the book will cover the before and after renovation period in terms of the effects of the health facility renovation on HCT service utilization in the Otjozondjupa region of the Republic of Namibia.